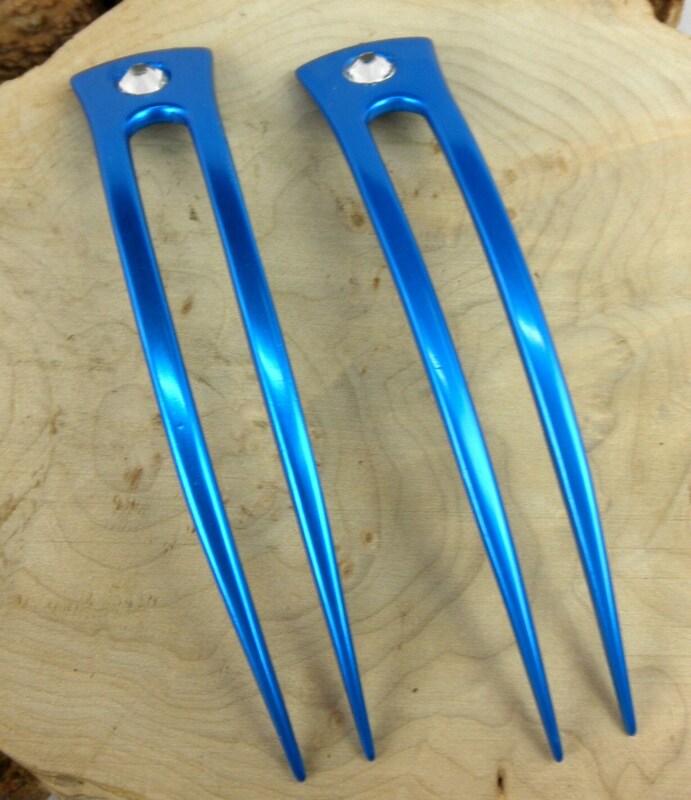 This sale is for TWO Aqua Colored Anodized Aluminum 6 inch hair Fork Each has a Rhinestone added to them to add a little sparkle. They are 6 inches long and a little over 1 inch wide and just under 10mm or 3/16 of an inch thick. 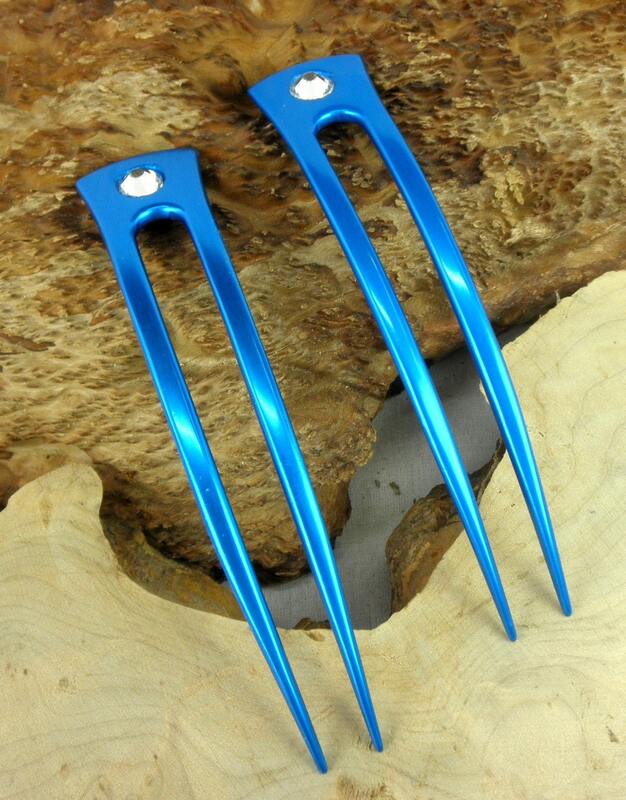 These Hair Forks are curved to fit the contour of your head. 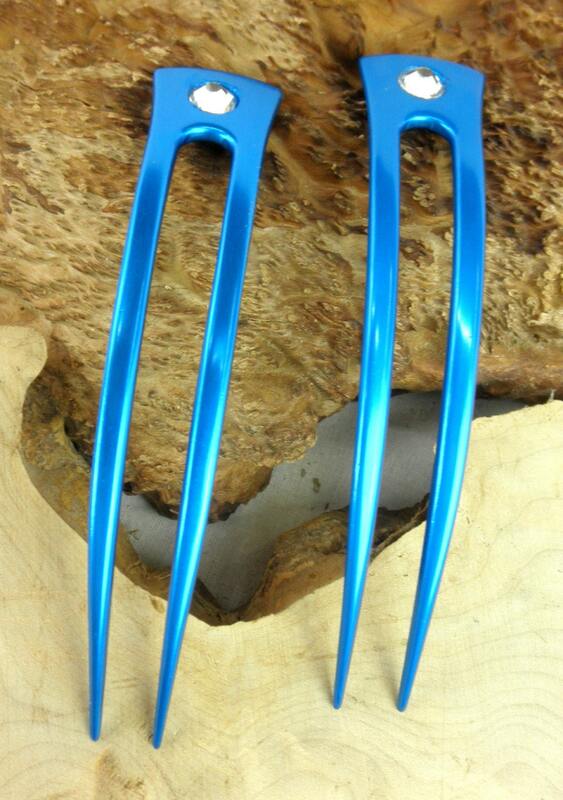 The Functional Prong Length (FPL) is about 5" for this Aluminum 2-Prong Hair Forks and varies within 1/4" from piece to piece. The space between the two prongs is about 1/2". 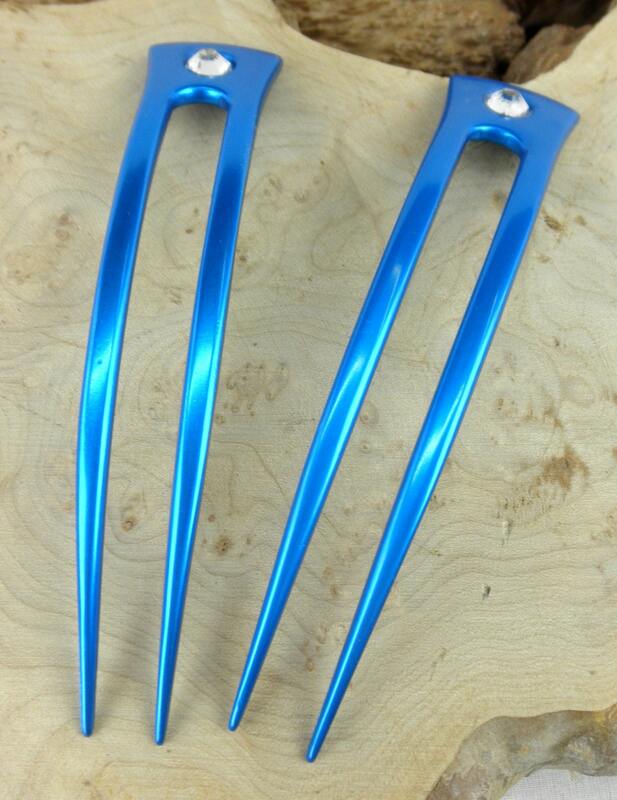 You get TWO Aqua Colored Anodized Aluminum Six Inch Curved Hair Forks in this sale ! I was amazed at the quality for the price. 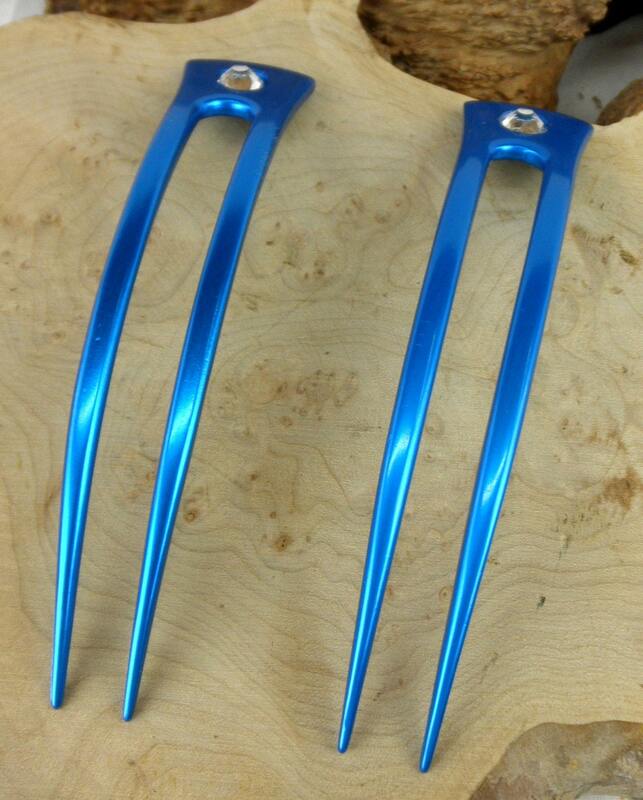 I love these forks. The hold is solid and they are comfortable. Shipping was amazingly fast.